We recently enjoyed a top notch sailing trip aboard the Kai Kanani, which leaves from shore in South Maui. Unlike most boats in Maui, the Kai Kanani offers shore entry, meaning you walk from the sand onto the boat. It’s also the only boat that leaves from South South Maui, in front of the Maui Prince Hotel. This makes it much more convenient for those staying in Wailea, Makena, or Kihei. When getting on the boat, keep in mind that you’ll probably get wet up to your knees, and possibly thighs (depending on the surf.) It’s best to wear shorts. We left an hour or so before the sun sets and cruise along the South shore by sail. There’s very little on Earth that matches the simplicity, peace, and relaxation that’s found while sailing in Maui with out a motor. Maui’s warm breezes helped lull us into a sense of total relaxation (though the Mai Tai’s helped too.) Being on a catamaran is also nice because it’s less turbulent, offering less of a change for sea sickness. One of the things we really loved about the Kai Kanani is that they don’t pack the boat like a can of sardines. It’s a pretty big boat, and they only put on a small amount of people. There’s plenty of room to sit and move around both in the cabin and on the decks. Another plus is how new and well kept the Kai Kanani is. You can tell the captain and crew take pride in their work and love that boat. The food on board is really good. They have jumbo shrimp, meatballs, assorted cheeses, salad, bread, and vegetables with dip. Unlike some other boats, they dont’ charge for cocktails, and you don’t have a limit (unless you’ve had too much.) Mai Tais, Local Beer on Tap, Wine, and Pina Colodas are spun up at your request. Of course, the sunset over the water is what we’re inevitably after. Watching the sun disappear between the neighboring islands and into the ocean is something best enjoyed on a boat. We left feeling warm, relaxed, and happy. We think you will too. 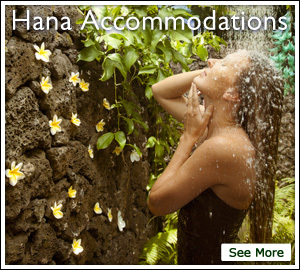 Book your trip direct by calling (808) 879-7218 or visit their website at Kai Kanani. Thank you Greg Hoxsie for your photos!